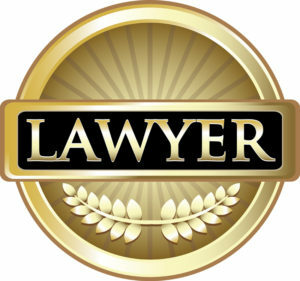 Let it be known that I, NAME, the debt settlement authorization person named herein, make and appoint ATTORNEY as my true and lawfully authorized settlement agent, to perform legal acts and instruct creditors to discuss their claims. I also hereby state that any and all accounts submitted to my appointed ATTORNEY if not in the company name was intended for business or household purposes. To discuss, release, or obtain any business or personal information relating to my company’s, and/or my, credit, debt, assets, income and any other financial information. To communicate regarding the state of my company’s and/or my financial affairs, ability to re-pay debts and the specific hardships experience. To make, constitute and appoint ATTORNEY as my agent for me and my stead, giving unto ATTORNEY full power to do and perform all and every act that I may legally do, and every power necessary to carry out the specific purposes for which this power is granted: to contact my creditors, negotiate authorized settlement of creditor’s claims, effect reasonable settlements, and make payments on my behalf. I request that my creditors and/or their agents process this debt settlement authorization and cease and desist from contacting me regarding this debt. I further request that all communication and settlement negotiation be done through my ATTORNEY. I assert this debt was incurred primarily for business or household purposes, and acknowledge this debt may be past due. This resoultion authorization shall also include any incidental acts that are reasonably required to carry out and perform the specific settlement authority granted herein. This settlement agreement authorization shall become legally valid and binding upon its signing and shall remain in full force and effect until ATTORNEY receives a formal written revocation. A photocopy or facsimile of the original shall have the same force and effect as the original contract. This debt settlement authorization shall provide a full working arrangement to effectuate legitimate resolution of creditor claims against me. The parties agree that this debt settlement authorization does not create personal liability on the part of the ATTORNEY, its officers, employees or agents for the liabilities of the debtor. Further, the granting of this authority carries an obligation on the part of the debtor to honor settlements entered into pursuant to this document.